Welcome to The Vintage Bike Builder. 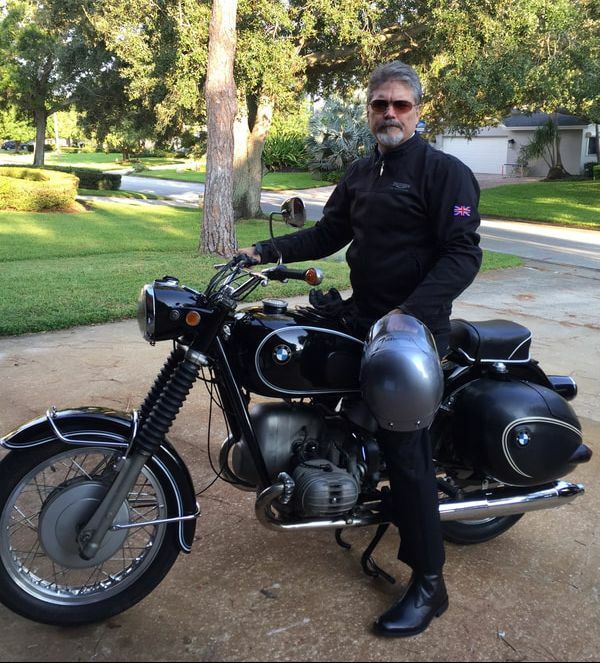 I'm Rick Carr and I’ve been riding, racing and working on motorcycles for the better part of 50 years. For me, motorcycling began as a mechanical fascination, which morphed into an obsession, then diverged to become a pain and finally, I guess, blossomed into an ever-lasting love. Yes, there are things I love and hate about vintage bikes. I love finding them, dusty and broken, hidden away in somebody’s garage or storage unit, and then bringing them back to life. I love stepping back and looking at a newly completed paint job after all the parts are bolted back on. 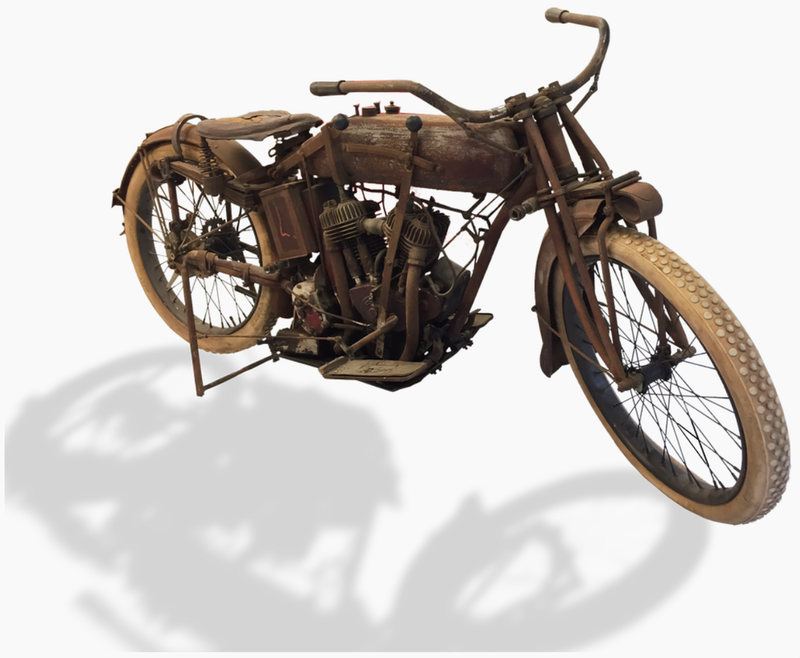 I love it when a 100-year old motorcycle (that's been sitting for 65 years) starts on the third kick (see the 1915 Indian story). But I hate when I wrack a knee trying to crank over a finicky old bike or when I scratch a perfectly painted gas tank. This site includes a gallery of some of my work – but certainly not all of it. It's more like stuff I've worked on for the past few years. Until the advent of the decent cell phone camera, I didn’t take many pictures of my projects, although I have a bunch of cameras, once worked as a professional photographer and owned a video production company for over 25 years. What’s that old saying about the cobbler’s kids have no shoes? In this site there are of photos of my current projects, rare finds, interesting tools and my ever-evolving workshop. You might even see stuff that has absolutely nothing to do with motorcycles (like old guitars, vintage camper and dune buggies I’ve restored). I've got a ton of experience working on all kinds of stuff and I’ve developed some skills during this journey. Truth is, I don't mind sharing anything I know with decent folks. So, I’m adding a few motorcycle restoration and tuning tips. I also hope to add links to some of my favorite vintage parts websites and forums as well. Being an old guy (and frustrated writer), I’ve also got some stories to tell. And you’ll see those on this site was well. You could say this is my personal clearinghouse of motorcycle memories, stuff and junk. That's me, the Vintage Bike Builder! Dad's 1917 PowerPlus Indian sans factory sidehack.